Dr. Paramananda Saikia is an Assistant Professor in the Department of Biotechnology & Bioinformatics at the University of Hyderabad, Hyderabad, India. He received his Ph.D. Degree in Virology from Indian Institute of Science, Bangalore in 2006 and earned his postdoctoral from Cleveland Clinic, USA. He is having 9 Years of Experience in the field of Virology and Innate Immunity. His Area of Expertise includes: innate immunity against virus and bacteria, TLR signaling, inflammation. 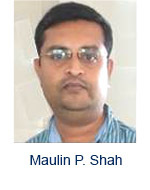 He is the author of many article published in high impact journals such as EMBO, Science Signaling, Journal of Virology etc. 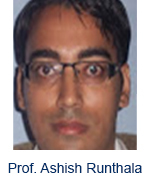 He is also recipient of prestigious Ramalingaswami Fellowship award from DBT, India. .
Prof. Ashish Runthala is a Professor in the Department of Biological Sciences at the Birla Institute of Technology and Science University.He earned his postdoctoral M.E. Biotechnology from the same university in 2008. He is having 6.5 years of Experience in the field of Bioinformatics. Area of Expertise includes: Protein Structure, Bioinformatics and Evolutionary Biology.He is the author of 10 papers, 4 Chapters and 7 conference publications. 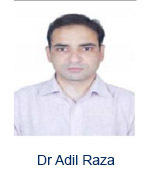 Dr Adil Raza has joined this deptt as a junior resident in 2005. he completed his MD in 2008 then he successfully completed his senior residency in 2011. He has been working as Assiatant Professor in this deptt since september 2011. He published 24 scientific papers in different journals. He attendeed 19 conferences so far. He has personal interest in bacteriology, parasitology, Mycobacteriology. 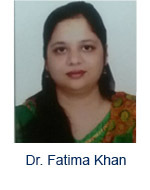 Dr. Fatima Khan is an Assistant Professor in the Department of Microbiology, Jawaharlal Nehru Medical College, Aligarh Muslim University, Aligarh. She received her MBBS Degree from Delhi in 2005 and earned her MD Degree from Delhi and her teaching experience is of 6 years. Her Area of Expertise includes: Leptospirosis, Bacteriology, Antimicrobial Resistance, Infection Control, Nosocomial Infections, Sterilization. She is the author of 33 international research papers and 9 national research papers. 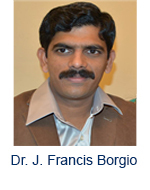 Dr. J. Francis Borgio is an Assistant Professor in the Department of Genetic Research at the Institute for Research and Medical Consultations (IRMC), University of Dammam, Saudi Arabia. 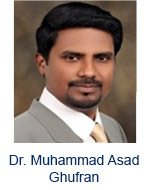 He is a member of IRMC Main Council, University of Dammam. He is a Deputy Chairman and a member of managing committee, International Indian School Dammam (IISD), one of the biggest school in the Gulf with 18500 students. He received his Ph.D. Degree in Microbiology from Manonmanium Sundaranar University, Tamil Nadu, India. Then worked as an Assistant Professor in Dept. of Microbiology, St. Joseph’s College, Bangalore, for 3 Years. He is having 11 Years of Experience in the field of Molecular Biology. His Area of Expertise includes: Molecular Genetics, Hemoglobinopathies. He is an author of a book (edited over 1000 pages), and more than 30 research papers in high impact journals. He reviewed over 100 research articles in modern biology for various journals including Blood Reviews and Clinical Genetics. Borgio currently conducts research in networks of genetic modifiers in HbF elevation and borderline HbA2 in transfusion dependent and transfusion independent thalassemia subjects. He has completed 8 projects funded by KACST and DSR, University of Dammam. He is a Principle Investigator or Co-investigator for 5 small and 3 major ongoing funded research projects. He was trained as a molecular biologist at National Botanical Research Institute (NBRI), CSIR, Lucknow and Jawaharlal Nehru Centre for Advanced Scientific Research (JNCASR), Bangalore, India. He has organized/participated in more than 20 conferences world over, either as a chairperson of the sessions or as a participant. 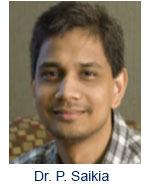 He has been a member of the editorial board for several international journals. He has been an external Ph.D examiner for various Universities, including Anna University, Chennai, India. He is a recipient of various Fellowships, Grants and Awards.